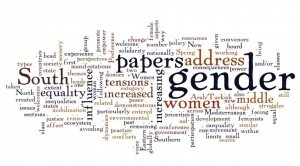 other papers which address other aspects of policy or practice related to gender and development. Preference will be given to papers in the first category. 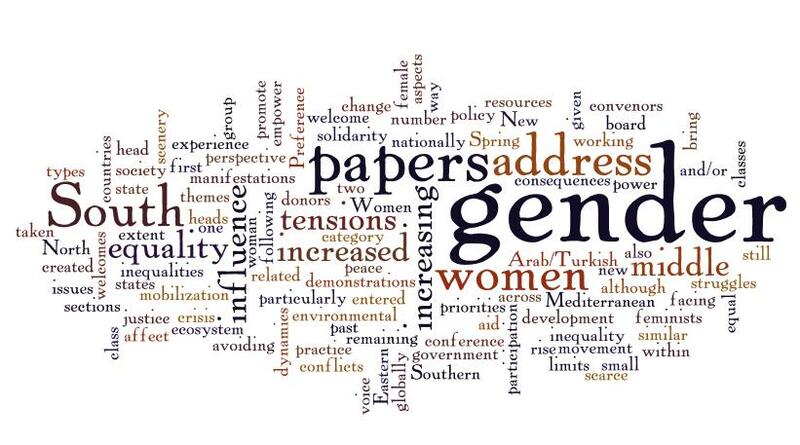 Women’s experience of the ‘Arab/Turkish’ Spring – have gender inequalities increased? Did women’s participation in demonstrations and other manifestations empower them? Was there equal voice across all sections of society? The Southern and Eastern Mediterranean countries have also been in crisis. Has one of the consequences been increased gender inequality? Has there been solidarity with women in the South facing similar struggles? In the past there have been tensions between feminists in the North and South. Has the rise of the middle class in the South created new tensions? What has been the influence of the increasing power of middle classes on mobilization for equality and/or on the women’s movement nationally and globally? There are an increasing (although still small) number of female heads of states. Does this bring a change in government priorities: peace, remaining within ecosystem limits, avoiding conflicts over scarce resources and environmental justice, promote gender equality? Does having a woman as head of state affect gender dynamics? New donors have entered the aid scenery. Does this have an influence on the extent and the way in which gender issues are taken on board?